Beat This Caption Contest 98 – Caption Contest Funny Clever Witty Enter Today! 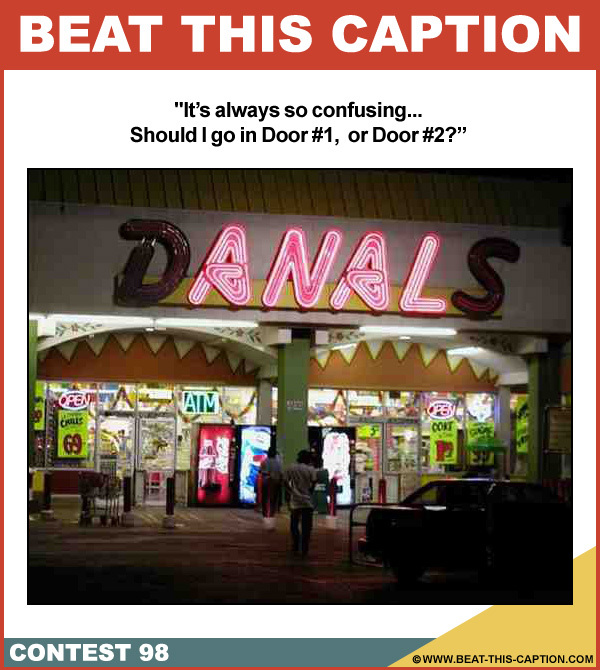 It’s always so confusing… Should I go in Door #1, or Door #2? June 10th – June 16th 2012.